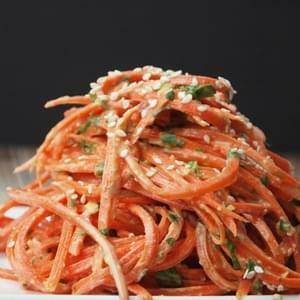 Cold Soba Noodle Salad with Peanut Sauce (Vegan) written by Caitlin Shoemaker August 28, 2017 This cold Soba Noodle Salad with Peanut Sauce is a filling Vegan entree that is perfect for an on-the-go lunch or light dinner.... Soba, udon, vermicelli—there isn't a noodle out there that doesn't feel at home in a cold summer salad with crisp vegetables and a bracing dressing to bring it all together. 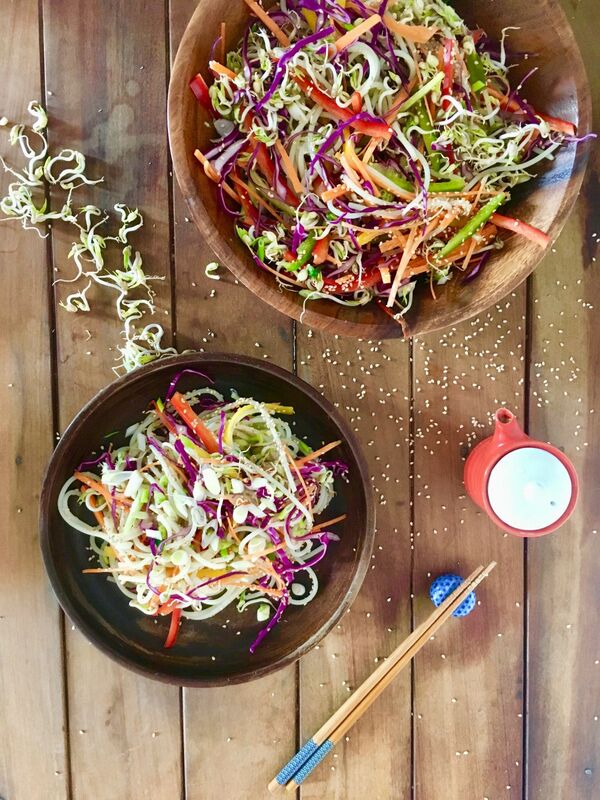 Nothing screams summer more than a crispy, crunchy, Asian cold noodle salad, infused with cilantro and a peanut and lime dressing… mmm refreshing! Today, this was on the menu as per my hubby’s request. I loved this salad. I used Mi Goreng Noodles without using the additional condiments and also forgot to add the carrot and cut back on the cabbage so that it was mainly noodles. 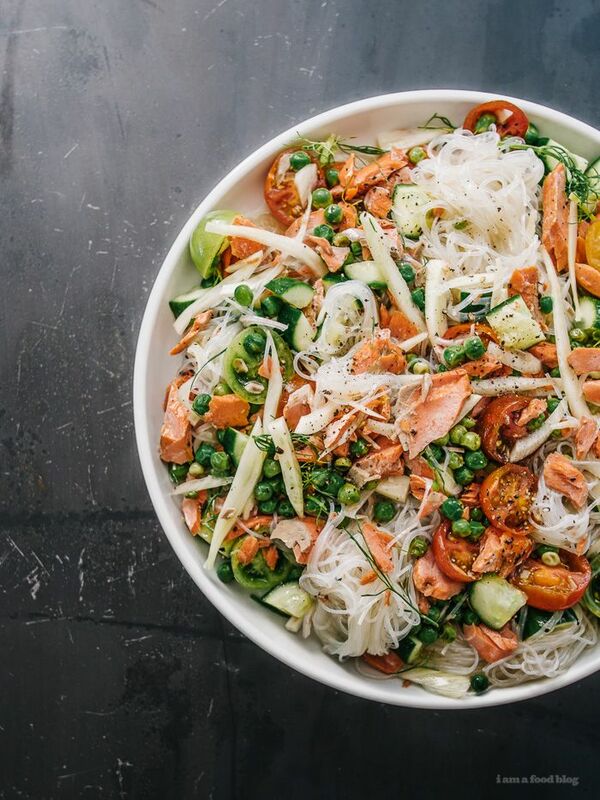 Soba, udon, vermicelli—there isn't a noodle out there that doesn't feel at home in a cold summer salad with crisp vegetables and a bracing dressing to bring it all together.